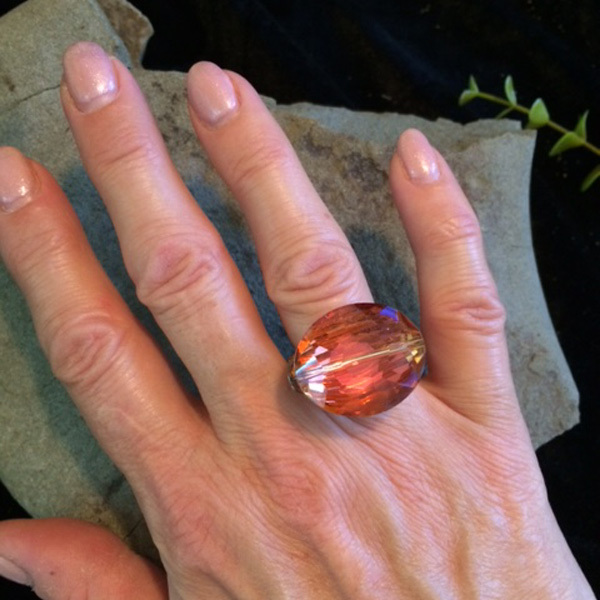 Large tangerine oval Chinese crystal ring with silver plated wire or sterling silver wire option. 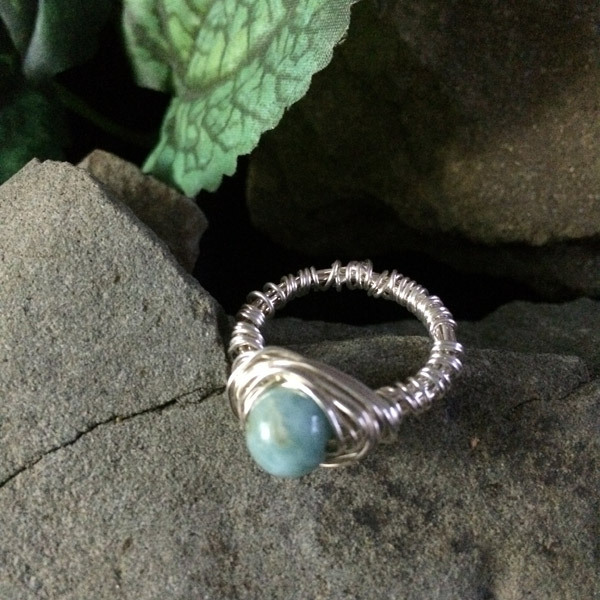 Genuine Larimar gemstone (6mm) with silver plated wire or genuine sterling silver wire. Gemstones may vary in color, size or shape. Larimar gemstone (6mm) from Dominican Republic with silver plated wire or sterling silver wire option. Gemstones may vary in color, size or shape. 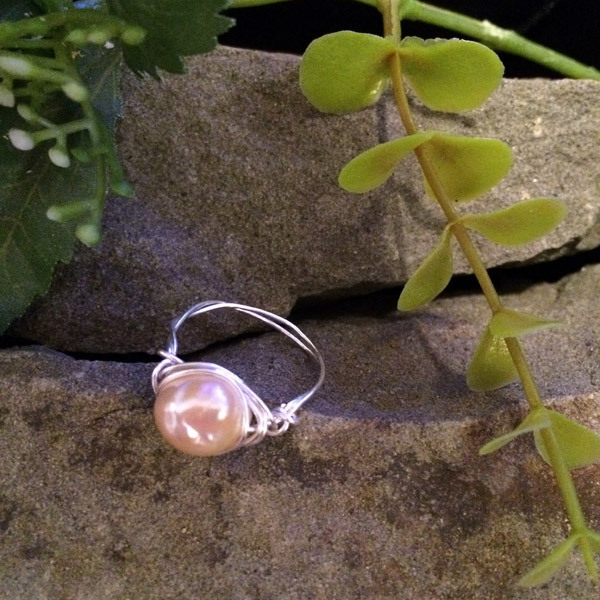 Pink dyed fresh water pearl ring with silver plated wire or sterling silver wire option. 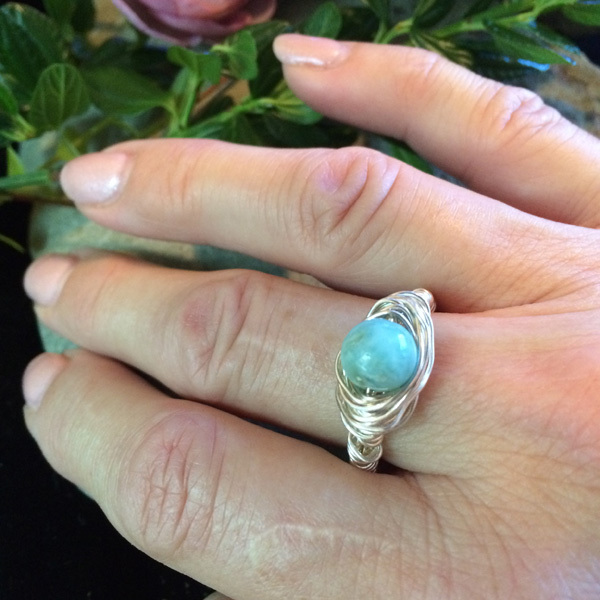 Gemstones may vary in color, size or shape. 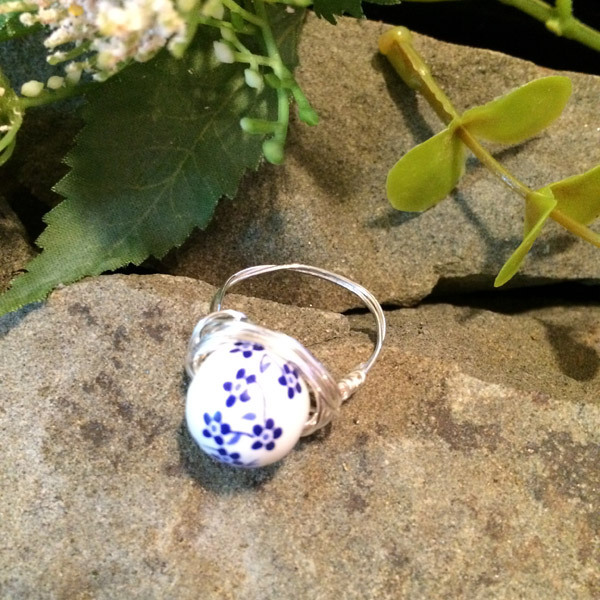 Blue / white flower ceramic round 10mm ring with silver plated wire or sterling silver wire option. Gemstones may vary in color, size or shape.